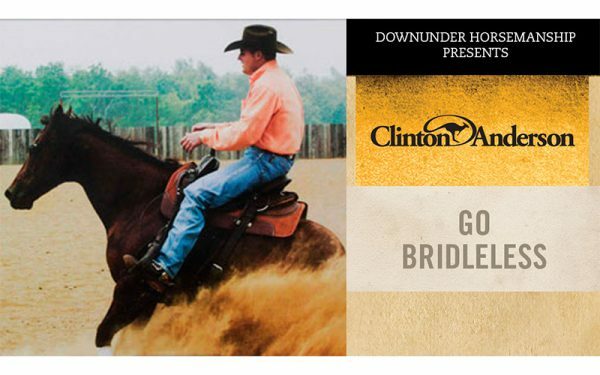 Join Clinton as he teaches the art of bridleless riding in this inspiring series. Riding bridleless improves your balance, helps you gain a new level of cooperation from your equine partner and adds more excitement and fun to your horsemanship. Throughout the series, Clinton works with a 3-year-old mare to illustrate his training method, and covers the basics of bridleless riding and why shedding the bit and bridle can benefit your horsemanship. You’ll earn how to avoid common mistakes and take advantage of never-before-seen success tips and troubleshooting advice. By the end of the series, Clinton is covering advanced maneuvers, such as circles, spins, rollbacks and flying lead changes – all bridleless! Intended for the serious equestrian, this series outlines the steps to creating a stronger bond with your equine partner and taking your horsemanship to the next level.